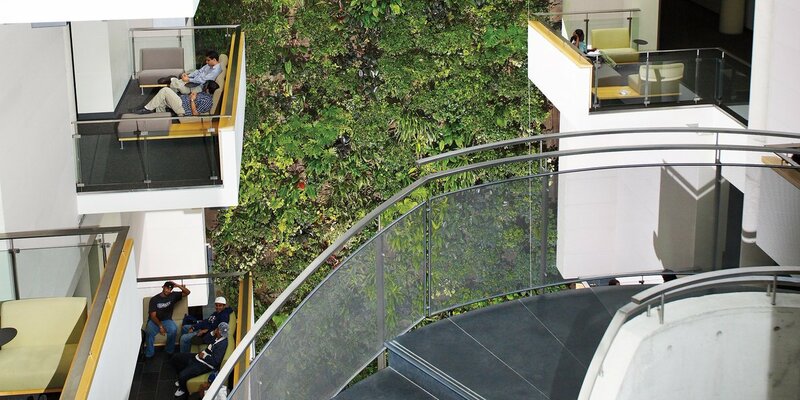 The living wall is located in the three story atrium of the River building, overlooking the scenic Rideau River. The building has achieved a five out of five Green Globes rating for sustainable design. The wall can treat 5,725 cfm of air while beautifying the indoor space.